Christmas has arrived once again, and Sonia Pettit prays she will find her daughter back home with her family. Seven years earlier Jody left home with no explanation aside from a brief note stating that she needed her own space. She left behind her mother, father and 15-year-old brother who were devastated, having no idea where she might be or if she would return. Grief totally consumed her father, eventually leading to his death attributed to a broken heart. Her mother has prayed daily for Jody's return, and every Christmas her highest hope is to see her daughter walk up the sidewalk to the front door. Her brother, however, retreated into his own world of video games, eventually going to college where his last year has been spent partying and drinking. His feelings toward his missing sister are bitter and unforgiving. Experiencing the effects Jody's leaving had on the family over the years he is angry that his mother would even hope for her return. When Jody's life crumbles around her she wonders if her family would welcome her home after all this time. This story is based on hope, forgiveness and grace surrounding the selfish acts of a self-indulgent daughter. 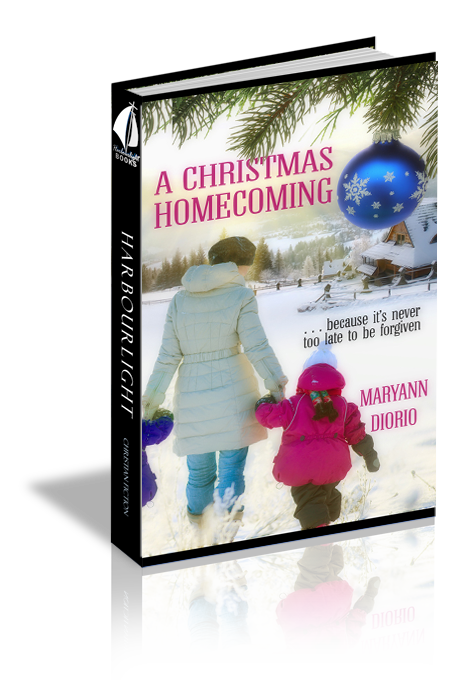 Mary Ann Diorio has written a short story of a family consumed with anguish over the absence of their only daughter. The characters in this story are a bit under developed due to the brevity of the story, but it's a heartwarming story of hope that is based on a mother's capacity to forgive. This is a great little Christmas story that can be read in an evening relaxing beside a fire with a hot cup of cocoa. Hope, forgiveness and grace shine through in difficult family circumstances. Disclaimer: I received a complimentary electronic copy of this book from Book Fun through The Book Club Network and Pelican Book Group in exchange for my honest review. All opinions expressed are my own, and no monetary compensation was received for this review.